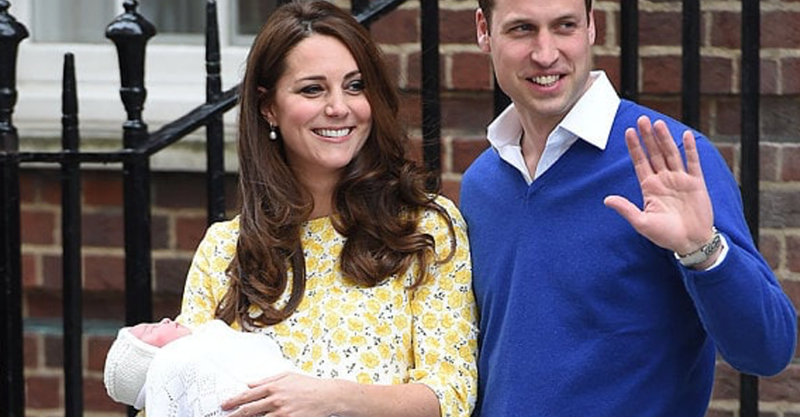 It is best known as the condition Duchess Kate was bedridden with during all three of her pregnancies, but there is very little known about what causes hyperemesis gravidarum. Thankfully, a new study has not only uncovered a possible cause but also silenced naysayers, confirming the condition is indeed very real. Most pregnant women will experience symptoms of morning sickness, but for a small percentage of women, pregnancy is a completely debilitating experience that can put the health of themselves and their baby at risk. The symptoms usually include chronic nausea, severe vomiting, dehydration, weight loss and sometimes even miscarriage. Many women with hyperemesis gravidarum struggle to keep any food down at all. It is no wonder that 60,000 women in the US alone are hospitalised every year because of it. Duchess Kate’s highly publicised struggle with hyperemesis gravidarum has helped raise awareness of the condition, but with very little research done into illness and its causes, many women have had their symptoms dismissed as a bad case of morning sickness or been misdiagnosed with an eating disorder. Marlena Fejzo, a geneticist at the University of California in Los Angeles, tragically lost her baby in 1999 after suffering from an extreme case of hyperemesis gravidarum. Marlena’s hunt for answers led her to research the condition and her findings, which have been published in Nature Communications, revealed a link between hyperemesis gravidarum and an excess of the blood-borne protein, GDF15. A second study led by biochemist, Stephen O’Rahilly of the University of Cambridge in the UK, also found the same GDF15 protein in women suffering from extreme pregnancy sickness. Both of these new research findings are the first time a potential cause for hyperemesis gravidarum has been identified. Previous studies have suggested estrogen and pregnancy hormones may be behind hyperemesis gravidarum, but these two new studies suggest it is more likely that genetics are to blame. This is because the GDF15 protein found in the blood of women suffering with hyperemesis gravidarum is determined by your DNA. Therefore, it is the genetic make-up of a woman that’s most likely to cause her to experience the pregnancy condition. Caitlin Dean, a U.K. nurse who chairs a patient advocacy group for hyperemesis gravidarum after suffering from it during her pregnancies, says it is “an incredibly exciting breakthrough” that proves hyperemesis gravidarum is actually a physical condition, and not just psychological, reports Science Mag. “[It] finally gives some answers … and validates what women have been experiencing,” says Caitlin. Hopefully it will put an end to the assumption that women have been exaggerating their symptoms. Now that a probable cause has been identified, the next step it to conduct further research into how to treat women genetically predisposed to the condition. “At least there is hope now for the future,” adds Caitlin. A future that will help ease the symptoms of hyperemesis gravidarum, reduce the risk of miscarriage and help more women feel capable of going through another pregnancy who may have been scared off after the trauma of their first.